Marcia: Thank you for the offer. I’m unable to help, but maybe someone reading this site would be interested? I am fasinated and have a strange question to ask. I’m writing a book. Would you be interested in doing some research for me? or do you know of anyone who might be interested. Its a business book. You certainly are not the only librarian to do this…I have done the same thing and researched some of the same topics (veggie cars and light bulbs to be exact). There is nothing wrong with knowing more on a topic! 13 watts, 800 lumens, two bucks. I researched Giant Squids yesterday. Honey is not bee barf. Get a grip. Read “Clan Apis,” supercute practically non-fiction graphic novel. Do you know what honey *is*? It’s bee barf. This is something you’d want to eat? To read about? For sure, if you want to eat it, you do not want to read about it. Bee barf! Yech! Beekeeping! That reminds me of a cool looking book that came into my library the other day…”Robbing the Bees. A Biography of Honey, the Sweet Liquid Gold that Seduced the World.” (by Holly Bishop). First off, it’s a great title. Secondly, I’d never really thought of book about honey before. So calling the LED bulb a “70 watt replacement” could be considered misleading. Calling it “dim” would be more like it. Giacino seems to think we can simply gloss over the point that LED bulbs are absurdly expensive. The room where I work has 15 light bulbs. With tax, that’s over $1000. I also have light bulbs in some other rooms in my house. Most people, myself included, are not able, prepared or willing to spend $5000 on light bulbs. A car, yes. Lightbulbs, no. So if you want to save our earth through LED lightbulb use, find a way to bring them to market at a price actual people can actually afford. Compact Fluorescents Light (CFL) are so old school. Despite the fact that CFL consumes less than the ancestral incandescent light bulb (invented 150 years ago), CFL are still consuming. 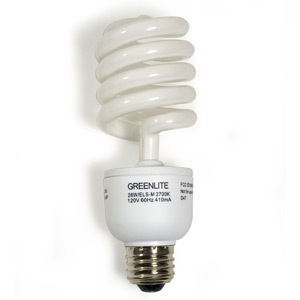 Now, I propose the 150 LED bulb, which uses only 9W for an equivalent of 70 watt incandescent. Of course, at $65 each bulb, it might take you 150 years to see a return on investment… Oh, I forgot, we are trying to save our earth. That compact fluorescent flickering here and there about your house is full of MERCURY!!!!! It’s True! So make sure you recycle it properly when it dies an electromagnetic death! Jenny: Give us an example of a fake band! Bill: I knao! At’s tattaly all ahver the reddio hair en Niw Yark.